Yes! It's 100% totally free. We don't even ask for a donation. We host Spring Fest because we want to provide a fun and completely free event for our community in the Easter season. You are invited! When is it? Where do I go? Spring Fest is Sunday, April 14th, from 1pm–3pm, hosted on our grounds: 16761 Tiger Bend Rd, Baton Rouge, LA, 70817. When you arrive, please check in at our registration table, adjacent to our main parking lot. You are free to come and go as you please to enjoy Spring Fest activities anytime from 1pm–3pm! 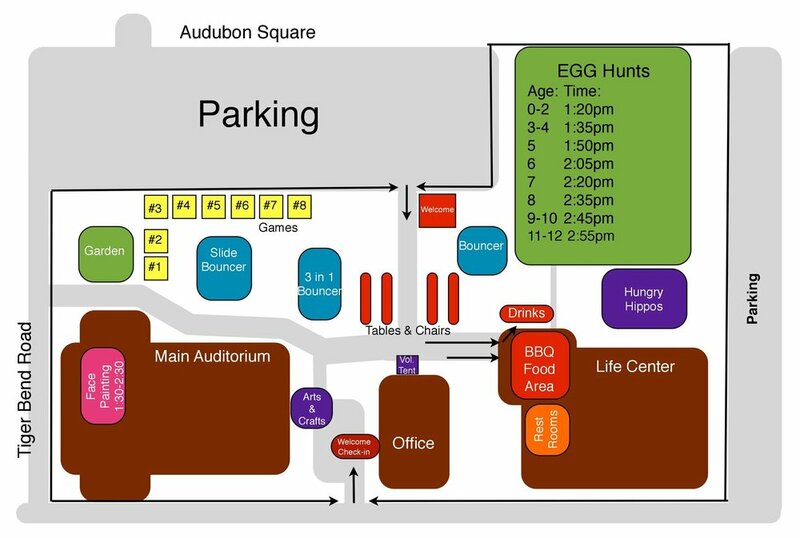 Separate egg hunts will be held for each age group, beginning at 1:20pm.